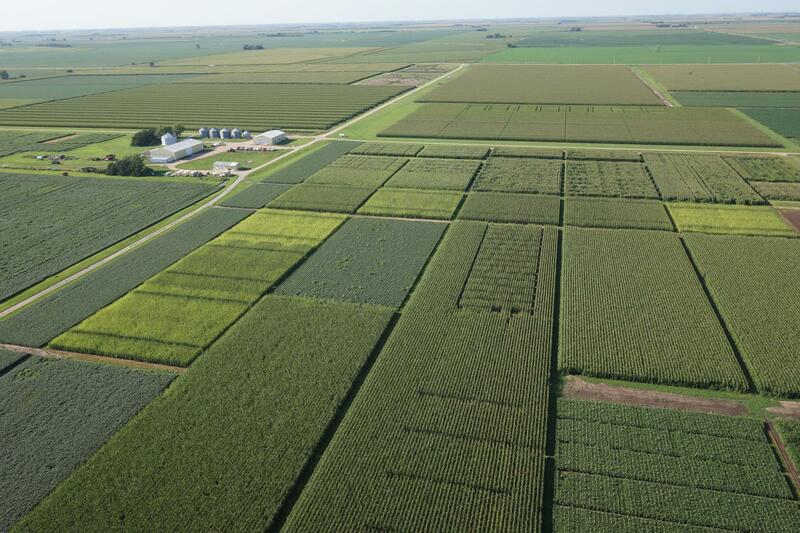 The development and refinement of irrigated crop production practices for Nebraska agriculture and beyond. 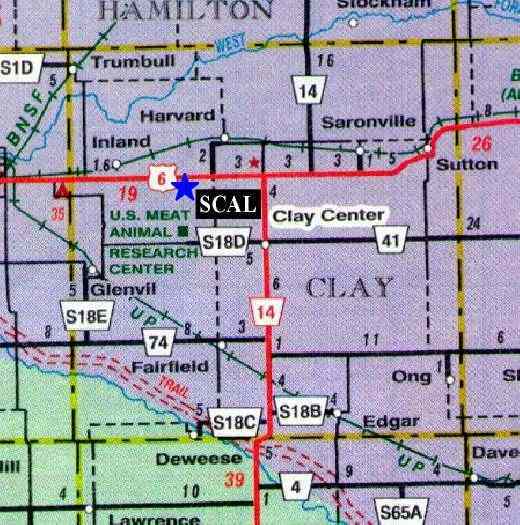 Approximately 100+ applied field research trials are conducted at SCAL annually by University of Nebraska-Lincoln faculty and United States Department of Agriculture/Agricultural Research Service scientists. Applied research in production agriculture at SCAL focuses on irrigation and water management, soil fertility, entomology, weed science, cropping systems, disease management, and crop variety testing. Numerous UNL master's and doctoral graduate students also actively engage in research projects at SCAL each year. Research trials are conducted utilizing lateral-move pivot irrigation, center pivot irrigation and sub-surface drip irrigation technologies. Vast majority of acreage is planted to corn and soybean, with a few acres of dryland wheat. 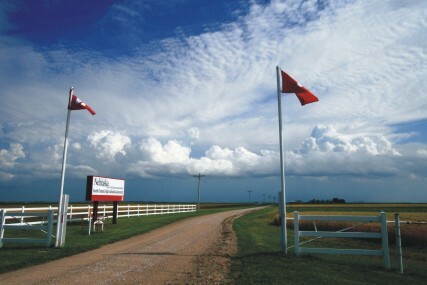 South Central Ag Lab entrance from Highway 6. Corn residue removal and nitrogen fertilizer research trial. 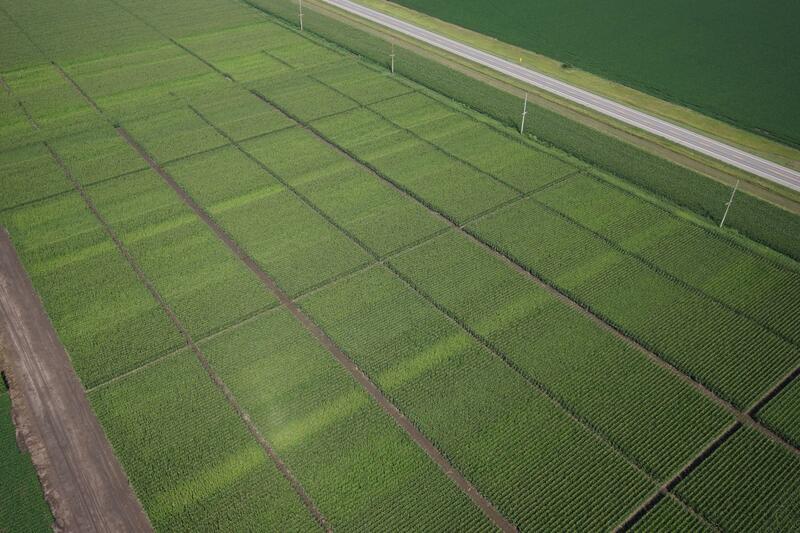 Visible yellow strips indicate corn check plots that received zero rates of nitrogen fertilizer. Soil fertility, weed management and crop variety research trials. SCAL research facilities are located near the center of the photograph. Weed and insect management research trials. Soybean variety testing and soil fertility research trials. Cropping systems, soil fertility and weed management research trials.